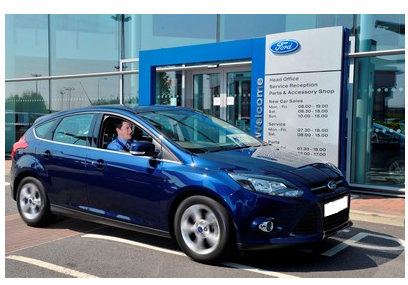 The Ford Focus 1.0-litre EcoBoost edition took the largest share of sales in the UK by accounting for 17 per cent of total sales in April during its first full month of being on sale, which equates to almost 1,000 cars! With fuel efficient vehicles being a top priority for motorists, the 1.0-litre EcoBoost engine is an example of an innovation arriving in the market at just the right time. The new EcoBoost turbo-charged direct injection engine is Ford’s smallest, yet highest power density petrol engine ever, delivering the performance of a conventional 1.6-litre engine with lower CO2 emissions and improved fuel efficiency. The tiny engine, which has a footprint about as big as an A4 sheet of paper, is available with either 99bhp or 123bhp. Not only is the 1.0-litre EcoBoost Focus the most economical of all petrol-fuelled Focuses, it is also one of the best to drive. Overall, it’s the best all-round Focus in the current range and it should make you feel very optimistic about the future of mainstream motor cars. There is no petrol engine rival that can match this car for emissions or fuel consumption and FORD, undeniably are leading the way in the C-segment with this new engine. This is Ford’s newest and smallest EcoBoost engine and it certainly looks like it will be one of the best.